Champion's pop-up metal targets offer a fun new challenge for your 22 long rifle. This reactive target will swing down and pop back up into the ready position upon being shot, providing the shooter with a visual acknowledgement of each hit and allowing for extended use without having to reset. 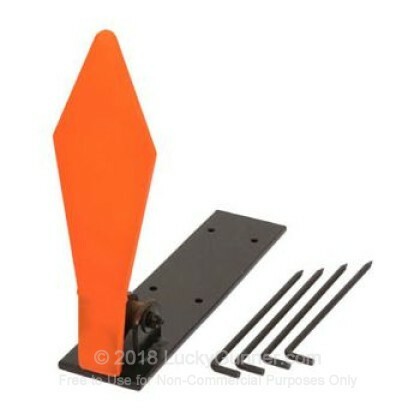 The 7.5" x 2.75" orange diamond target is designed to be shot with .22 LR, rimfire rounds. The target base is drilled to accept the four included stakes, ensuring a solid position lock.